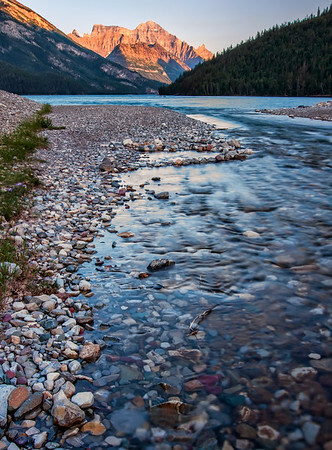 One of the longest days driving on our Rocky Mountain road trip was from Moyie Lake to Waterton Lake Provincial park. It would have only been 4 hours if we drove straight but when you have a one year old baby in the car, it takes a lot longer. We got into Waterton just before sunset and we rewarded for the drive by these types of beautiful scenes as we walked beside the lake.